The smaller farmers who are constrained in land and financial resources are the most vulnerable to competition and also the ones who are unable to invest in food safety standards. These highlighted the findings of two complementary UPLB research projects that were presented in the “Seminar on socio-economic researches in agriculture, aquatic, and natural resources (Luzon)” to representatives of government institutions on June 14 at the Central Luzon State University (CLSU), Science City of Muñoz, Nueva Ecija. The results from the researches have highlighted the areas in which government, academe, and private sector must work on to support local farmers, producers, and processors in order for them to compete globally. Entitled “ASEAN Economic Community: opportunities and implications on agriculture, fisheries, and forestry R&D” and “Analysis of the S&T-related institutional capacity and readiness to implement the Philippine Food Safety Act,” the projects were based at the College of Economics and Management (CEM). The first, referred to as the competitiveness research, encourages agriculture, fishery, and livestock and forestry production in areas where they have an export niche or comparative advantage. Estimates from the research showed that mango, banana, pineapple, coconut, sugarcane, abaca, bamboo poles, natural rubber (SPR 20), slaughter goat, falcatta logs, mussel, tuna, sardines, milkfish, tilapia, white shrimp, seaweeds, mud crab, black tiger prawn, and oyster are all competitive as exports. It further found that locally the produced could compete with imported potato, coffee, rice, peanut, sweet potato, cacao, maize, and swine (carcass). The research team warned, however, that these estimates are for selected benchmark farms only. For example, for rice, the findings were based on farms in Nueva Ecija that normally produce at higher levels of yield compared to the national average. On the other hand, the food safety research, which recognizes the importance of food safety and standards in regional and global agricultural competitiveness, indicated that there is a lot of improvement needed in enhancing the capacity and readiness of stakeholders to adopt food safety measures. These stakeholders include farmers, traders, processors, and relevant government regulatory agencies mandated to implement the Food Safety Act (Republic Act 10611) of 2013. The project found that capacity and readiness are generally higher for processors, bigger operators, stakeholders from higher-value products, and those selling to institutional and export markets. This is because given their target markets, they self-regulate and work towards meeting global standards. According to the project team, once the supply of agricultural goods are met through technology, the country must also ensure compliance with global standards of food safety and production. The Philippine Council for Agriculture, Aquatic and Natural Resources Research and Development (PCAARRD), which funded the researches, organized the seminar that was attended by representatives from state universities and colleges, local government units, Department of Agriculture, Philippine Rice Research Institute, Philippine Carabao Center, National Economic and Development Authority, the private sector, and its partner institutions. 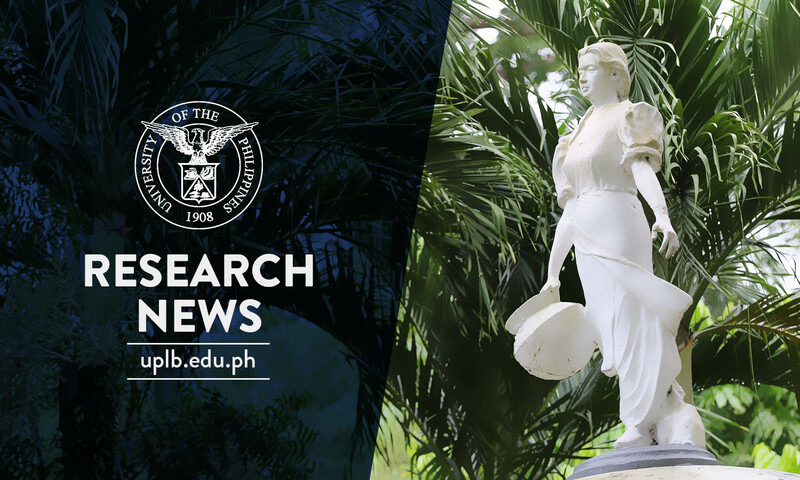 The competitiveness project is led by Niño Alejandro Q. Manalo, assistant professor at the Department of Economics of CEM as program leader, with Geny F. Lapiña and Rodger M. Valientes (now deceased), both assistant professors at CEM, as project leaders. The food safety project, on the other hand, is led by Dr. Isabelita M. Pabuayon, professor and dean of CEM, together with experts from different colleges.